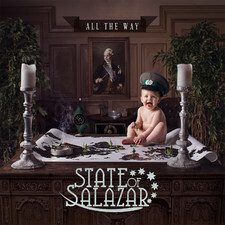 When State of Salazar released their debut EP ”Lost my Way” in the summer of 2012, it spread fast in magazines and blogs and created a flood of praise. The Swedish quintet has received a lot of positive critique from all over the world during a very short period of time. “This is something that can grow really big.” “...State Of Salazar will undoubtedly be one of the highlights of the genre.” “…this EP is an extremely polished piece of art...” “The performances and the production are superb…” And so it goes on. 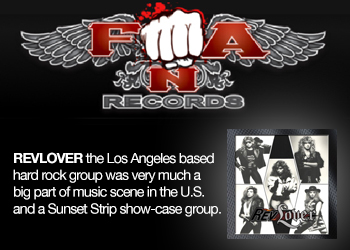 Considering bands such as Toto, Queen, Journey, Survivor and especially Bill Conti and Vince DiCola have influenced them, State of Salazar have a lot to prove. But they handle all this pressure with their honor intact and their heads held high. State of Salazar started in 2010 by five students from the Malmö Academy of Music who wanted to play rock music made for the big arenas, and they have now started their journey towards the big crowds. The singer and songwriter, Marcus Nygren, began thinking of the concept of having a band like State of Salazar in 2009 when he wrote a couple of songs that did not fit his metal based band 8-Point Rose. “To find great musicians at the Academy was no problem,” Marcus says in one of the many interviews he has done lately, and all members of State of Salazar have a passion for West Coast, AOR and similar genres. State of Salazar is just as much a group of good friends as it is a quintet with great musicians. 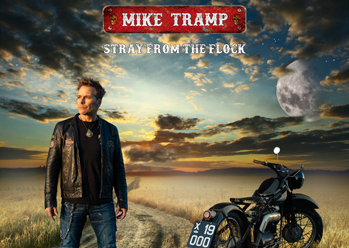 All members – Marcus Nygren, vocals, Johan Thuresson, guitars, Johannes Hansson, bass, Kristian Brun, drums and Stefan Mårtenson, keyboards – are frequently hired in various events of different character. For instance Johan Thuresson plays in the progressive pop band The Million, Kristian Brun plays ska with Scaramanga and they have all appeared in several studio- and live-sessions in the past. In other words, State of Salazar knows what they are doing. There is no mistaking that the band delivers “feel good” music, and it is no wonder, since one of the biggest influences is “training montage” music. This is just one of many reasons why State of Salazar actually stands out from many of the other bands in the same genre. 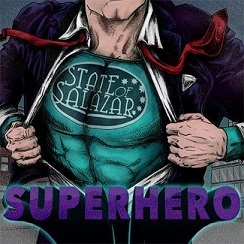 State of Salazar is not a retro band, or a walk down memory lane. They write songs and play music that strives forward and not backwards. 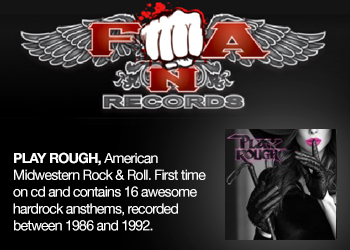 Their songwriting, arranging and instrumental performance show that this is a band that wants to develop and contribute to the melodic rock genre. They are now recording their first full-length album and this is just a natural step towards playing in the big arenas around the world. State of Salazar is here to stay.